Water reservoirs in the country have nearly dried up and this will mean cultivation in the next rice-planting season will be a challenge, barring rains in the next few months. In the 2015-2016 Maha season only 756,000 hectares were sown, less than in the same growing season in 2014-2015. Out of this, only 743,000 hectares were harvested in the 2015-2016 Maha season. But the agriculture director expects to cultivate 800,000 hectares this Maha season. Inter-monsoon rains fall between October and November, usually spread across the island. As a result of the lingering drought in which more than 1.3 million people are suffering, in some cases, water levels are down to 20% percent of the capacity of tanks. 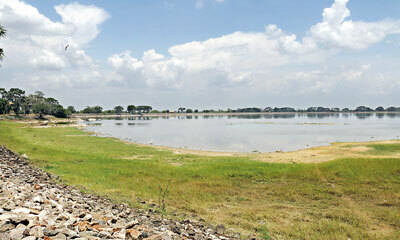 The director of irrigation, M. Thurasingham, said water for cultivation will be scarce if the rains don’t arrive. He said water for the Yala season had been provided with what was available. He said that there are 70 big tanks and 300 other tanks. The water in these will be enough for day-to-day needs. Meanwhile, the Meteorology Department’s deputy director (forecasting), Anusha Waranasooriya, said rains are expected in the next two months. The north, northeast and Uva should receive evening thundershowers next month, she said. Ms. Warnasooriya said that the southwest monsoon rains will continue from September to October. These rains will not help fill the tanks, she cautioned, noting the shortage of rainfall last year. The Disaster Management Ministry says more than a 1.3 million people are affected by the drought. 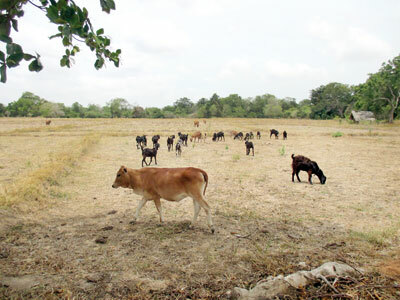 Most of the affected are in Kurunegala where 231,121 people belonging to 70,309 families are suffering. Kurunegala is one of the top three rice-producing districts of the country. The director general of the Agriculture Department, Dr. Rohan Wijekoon, said there are plans to begin the cultivation of 800,000 hectares. Already 40,000 bushels of seed paddy have been prepared. “During the Yala season, the cultivation of 400,000 hectares of paddy was planned, but because of the drought, only 250,000 hectares were harvested. Most of this [harvest] had to be purchased for seed paddy for the upcoming Maha season,’’ he said. He added that seeds for planting chili, soy, rice, big onions and other vegetables will be provided to farmers.